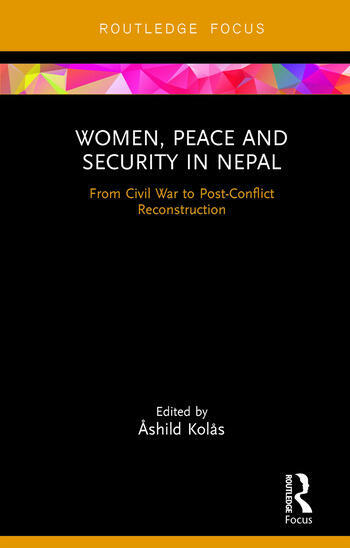 This book sheds new light on the important but diverse roles of women in the civil war in Nepal (1996-2006), and the post-conflict reconstruction period (2006-2016). Engaging critically with the women, peace and security literature, Women, Peace and Security in Nepal questions the potential of peace processes to become a window of opportunity for women’s empowerment, while insisting on the vital importance of a gender perspective in the study of conflict, security and peace. After the signing of the 2006 Comprehensive Peace Accord, Nepal experienced a huge leap in women’s political representation in the subsequent Constituent Assembly, often portrayed as a landmark victory for women’s empowerment in the context of South Asia. Nepali women’s mobilization played a key role in this success story, though similar mobilization has failed to produce the same outcomes elsewhere in South Asia. How does Nepal differ from the other cases? Presenting studies of war-time and post-conflict Nepal through a gender lens, this book critically assesses the argument that war and peacebuilding can add momentum to the transformation of gender roles. Contributing new knowledge on women’s disempowerment and empowerment in conflict and peacebuilding, the book also offers insights for contemporary debate on gender and political change in conflict-affected societies. This book will be of great interest to students of peace and conflict studies, gender security, South Asia and international relations in general, as well as policy-makers and NGOs. Ashild Kolas is Research Professor at the Peace Research Institute Oslo (PRIO), Norway.